TOCWOC quite often receives requests to review all kinds of books on the Civil War. The blog currently receives nearly 10,000 unique visitors and over 28,000 page views per month according to the latest Google Analytics stats. All Civil War Book Review requests go to Brett Schulte, founder of the blog. Brett reserves the right to either review the book himself , pass the book along to one of TOCWOC’s contributors, or reject the review request. Due to the number of non-fiction books received, TOCWOC does not review Civil War fiction. Review requests should be sent through the Contact Us link at the top of this page. 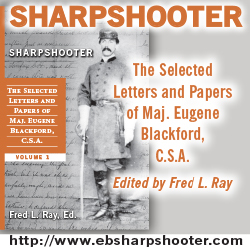 Read examples of past reviews at TOCWOC Civil War Books Reviews. If you decide to send a review request, you can expect the following from Brett. Other reviewers may have a different policy. TOCWOC makes no guarantees about any book being reviewed. The Civil War sesquicentennial has created such an influx of books that I can’t possibly review everything I receive. A good faith effort will be made to review books in a timely fashion. I will post at least a short blurb on all books I receive on Civil War Book Acquisition posts. Some books never receive more than that. Treat us as you want to be treated. Rude behavior or blatant attempts at spamming will be deleted with extreme prejudice. If you are courteous to us, we will be courteous to you. Review requests may or may not be answered depending on the topic of the book. I try to be courteous and at least let you know we either are or are not interested in your book. This does not happen 100% of the time if I am busy at my day job. I apologize for this but I can’t make any guarantees at this time. If you send me a book in anything less than new condition, the length of the review goes drastically down to in some cases no review at all. I will give you my best effort when reviewing a book. If you send me trash, you’ll get what it’s worth in return. Once a review is completed, you can expect an “E-Tear Sheet” containing a link to the final blog entry and the complete review as it will appear on TOCWOC. Some reviews will be posted on many of the Civil War forums I frequent. Feel free to contact TOCWOC about author interviews as well. I would like to offer Jessica James a review copy of “The Shenandoah Spy”, but I’ll need a mailing address. I would be honored if you or Jessica James would review my book Journey to Honor. 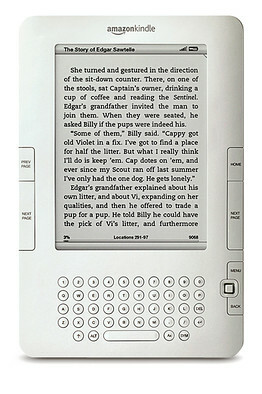 You can find infoormation about the historical novel at http://www.jimbuckbooks.com. Please let me know if you would like me to send a copy.